You can view all of the American R&B musician's hit songs from the 80s in the playlist above, including two duets with Cherelle. The singer/songwriter is best known for his major hit single Criticize which reached #4 in the UK during 1987. However, in his home country the song peaked at #70 on the Billboard Hot 100. 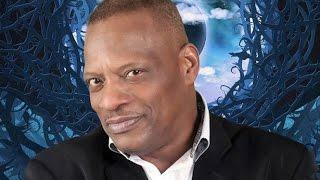 The track reached the Top 10 of the Alternative Music Charts in January 2015 (almost 28 years after its original release) after O'Neal performed the track during his stay in the big house on the Channel Five reality show Big Brother. Ex Corrie star, Ken Morley, caused controversy when he called O'Neal a "n***o" which was deemed as being racist, and he was eventually booted out of the house after using the word again whilst describing a prank he once played on boxer Frank Bruno. 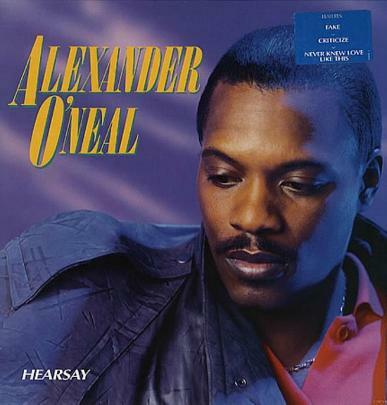 Criticize featured on Hearsay, O'Neal's second studio album which reached #4 in the UK achieving 3xPlatinum, and #29 in the U.S. achieving Gold. The album was also a moderate success across Europe, although it broke into the Top 20 in Norway and Sweden. Released on the Tabu record label, Hearsay was the follow-up to the self-titled debut album which had peaked at #19 in the UK and #92 in the U.S.
A remix entitled Fake '88 reached #16 during 1988 and was released to promote the compilation album All Mixed Up, although the album failed to chart in the UK and only managed #185 in the states, although it peaked at #67 in the R&B charts.